What would a modern smartphone be without at least two cameras on the back? The Google Pixel 3, that's what. But multi-camera setups are becoming increasingly important for smartphones, as they allow engineers to widen the capabilities of the camera without adding any bulk. Samsung's latest crop of image sensors aims to facilitate this process. Samsung has launched two new 0.8-micrometer image sensors for devices with multiple cameras. 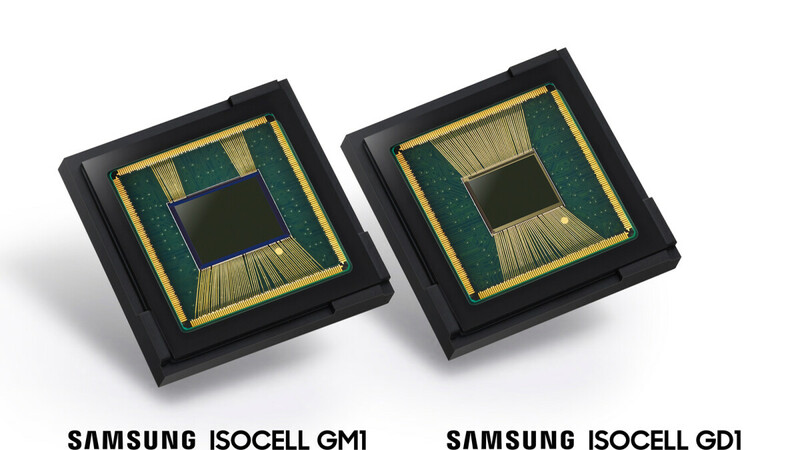 These are the 48MP Samsung ISOCELL Bright GM1 and the 32MP ISOCELL Bright GD1 and they have been designed with the goal to allow smartphone makers to fit more cameras in a single device, without increasing its footprint. As ZDNet notes, Samsung first launched micrometer-sized pixel image sensor in 2015 and reduced the size further to 0.9 micrometers last year. The reduced pixel size of these sensors allows smartphone makers to build smaller camera modules to fit in current design footprints. Smaller pixels, of course, means worse image quality, but this solution is still viable for secondary or auxiliary cameras. In a bid to squeeze out the best image quality possible from their reduced pixel size, the GM1 and GD1 sensors come with Isocell Plus and Tetracell technology, where four pixels work as one to increase light sensitivity. The GD1 also supports HDR. Both sensors are expected to enter mass production in Q4 2018, while smartphones equipped with them will should also arrive in the coming months. This method of creating sensors isn't bad, as Huawei and don't have demonstrated in their most recent offerings, but requires good software to properly execute. With the proper software and a good high sensitivity callers to pair with it, this is the best way to go, in my opinion. Where will you put it, in the phone? This isnt the Lumias series. Those phones had nothing in them and this had the space for huge sensors. Today's phones have FPS, wireless charging and other sensors at the top and also bigger batteries. Camera sensor are vulnerable to heat. Which is why some OEMa place timers on things like 4K recording ro combat what ultimately would kill the sensor. Making the sensor physically bigger is dumb. If you can pack the same camera into smaller sensors and stack them, then you dont mess up space for other components. I mean you have seen the inside of phones today...right? Where would a Lumia sized sensor fit? Why not make the sensors a bit bigger to get a much better quality image, phones are so MASSIVE nower days. Thermal issues for larger sensors crammed in small space like smartphones.